I am back with a fresh .PSD download called Treasure Box. This is an excellent Treasure Box graphic with golden edges, and while creating it I really loved it. As always, this is a fully layered Photoshop file with all the layers intact, so you can check them and know how I created it. 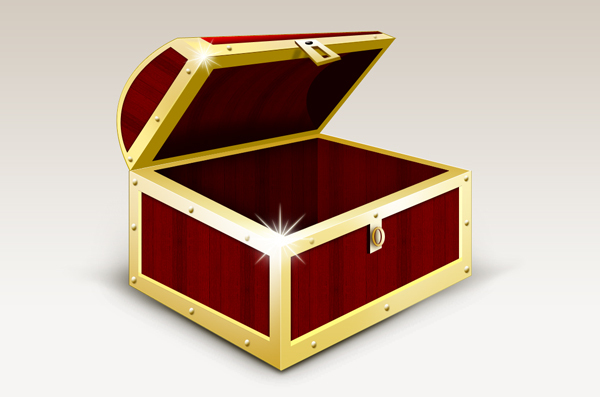 In addition to that, I have created the treasure box into 3 useful icons of sizes 512×512 px, 256×256 px, and 128×128 px. You can use the treasure box and icons in your web designs and user interfaces. Let me know what you think of this graphic. Thanks! !